A bill to create a no-fault birth injury fund in Maryland pits two traditional opponents — hospitals and the trial lawyers who sue them for malpractice. 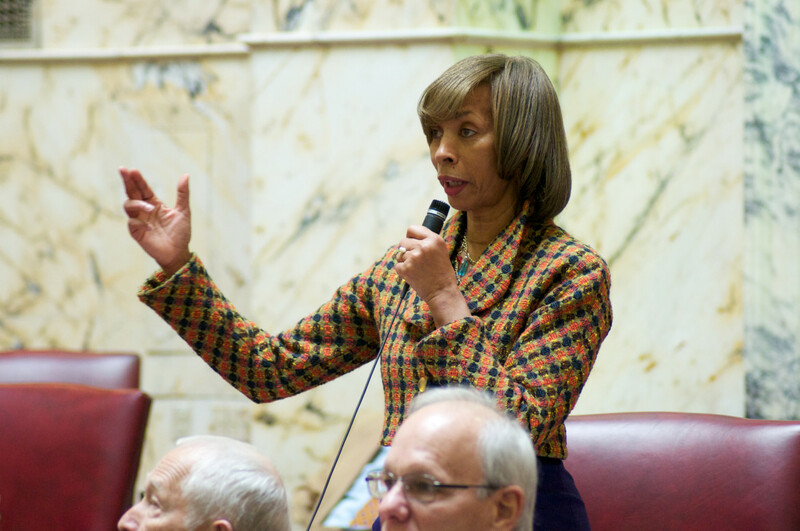 Sponsored by Sen. Catherine Pugh and 22 delegates in House, including three doctors, SB585 and HB553 would set up a fund paid for by the hospitals that would finance the living and care expenses of any baby suffering a neurological injury from actions at the hospitals. The hospitals would pay $25 million a year into the fund, based on actuary’s estimate that only about seven babies a year would qualify. “This is really a great problem here in the state of Maryland,” Pugh told the Judicial Proceedings Committee Thursday, due to rising insurance costs. Carmela Coyle, president of the Maryland Hospital Association, said the malpractice problem “has worsened in recent years” due to several large awards of damages in trials. The problem has gotten worse due to several “mega verdicts” in Baltimore, even though hospitals “don’t take [a case] to trial unless they think it is defensible,” Kinter said. The fund would create an administrative hearing process as an alternative to tort lawsuits. Lawyers would still be involved, but they would be paid at a prevailing rate out of the injury fund. Similar birth injury funds have existed in Virginia and Florida since the 1980s. George Tolley, a personal injury lawyer representing the Maryland Association for Justice, the trial lawyers group, said the birth injury funds in those states don’t eliminate the adversarial process. Instead of fighting with the hospitals over damages, the parents of the injured child contend with the fund administrators, who want to preserve its assets. Tolley said that the actuary’s estimate of the number of eligible cases in Maryland was far too low, and that there might be as many as 150 birth injuries a year. Both proponents and opponents of the legislation had planned on bringing witnesses from Virginia to testify about the advantages and drawbacks of the system there, but the snow prevented them from coming. Robert Zarbin, another personal injury lawyer, argued that the tort system currently in place really does work. Zarbin noted that a major verdict against Johns Hopkins hospital was actually reduced from $52 million to $20 million on appeal, and the hospital’s self-insurance was able to cover the claim. The average payout for a birth injury in the Virginia system is $4 million, and many of the children do not live to be adults. Ryan O’Doherty, director of external affairs at Mercy Hospital in Baltimore, which handles a quarter of the births in the city, noted that there has been a 35% decline in the number of obstetricians in the city, and three rural Maryland counties have no obstetricians at all. “This is a looming crisis,” O’Doherty said, pointing out that in Philadelphia, 13 hospitals had shut down their birthing centers, and only teaching hospitals there were handling childbirths. Legislation to create a Maryland birth injury fund was introduced last year, but never received a vote in either the Senate or House committees. Pugh said a task force worked on the bill over the summer. This year’s bills have been jointly referred to two committees in each house because they involve both the court system and health care.